I stand at my laptop in its corner on the kitchen counter, stew bubbling, children playing, clock ticking. I stand here and I read the prayers of friends and strangers alike who love my family enough to spend their time whispering to Him on our behalf. Tears stream and I am blown away by this love and His grace. I look around and I type out words and layers of my heart peel back, bare on the screen. Yes, this is life, Yes, this is real, Yes this is happening. Monday morning the gate rattled and there stood Jane and her birth mom Nancy. Evicted from their home, Jane’s leg wound still festering, and in desperate need of a shower and some love. So we opened the gate, and my heart, a little wider. And it hurts from the moment I wake up until the moment my head hits the pillow. And this that I once wanted – my daughter back – it’s not what I want anymore and this is not how I wanted it. Now it comes with a grouchy grown woman who doesn’t know Him and doesn’t care to love us back or take responsibility for anything. Now it comes with my four year old, confused and traumatized who calls two women Mommy and only half obeys and does things that she didn’t learn in my home and wears the wounds of the last six months on her sleeves. But in the hard, I see the healing. In the mess of it all, I see the redemption. One step forward. Two steps back. And He doesn’t let go. He doesn’t let go. I spent the whole weekend trying to come up with a solution. Begging God to show me what to do. Should they live here? Should they live near by? Should I keep Jane? Should I try harder to make sure her birth mom is taking care of her and has the means to do so? There are the obvious arguments: She has a living birthmother! Of course she should stay with her! Or. Her birthmother is obviously not caring for her, she is still bonded to you, take her, that is what is best. The thing is, this is real life and so there is this huge gray area in the middle and that is where we are living. In the gray area. That is adoption though. Big, beautiful, scary, confusing, unnatural, redemptive, tragic, wonderful gray. I found myself diving back into 1 Kings 17, a story I felt so strongly led to just days after Jane was taken from our home in November. Over and over this widow reminds me of whom I want to be, and the end result of provision reminds me of who my God is. Elijah asks her to make Him some bread but the old woman does not think she has enough. Regardless, she takes the little she has and obeys. She is faithful with the little that she has already been given. And, as she remains faithful in the things she has been asked, He is faithful to provide more, exactly enough, exactly when it is needed. I do not need to know the answer. There may very well not be one right now. However, I do know what to do about it. Obey. Do what I know to do. Love like Jesus. Invite in the stranger, accept the outcast, live the Gospel. Be faithful with the little that is entrusted to me and watch Him be faithful in the big picture. He always provides, exactly enough, exactly when it is needed. He asks me to take this next step and I protest, “but I don’t have enough!” Not enough grace, not enough love, not enough strength, not enough time. And the widow reminds me to be faithful anyway. Of course I do not have enough. But I have Jesus and He, He is always enough. I am faithful with little. He is faithful with much. So we breathe in. We put one foot in front of the other. We love each other well and we laugh until we cry and sometimes we just cry but He holds us then too. Holds us even now and knows best even now and loves these dear ones even more than I do, even now. He who promised is faithful. Not necessarily faithful in what I want or see fit, but faithful in His promises. And He has promised to prosper and not to harm, He has promised a hope and a future. For Jane, for Nancy, for Patricia, Grace, Sumini, Joyce, Scovia, Sarah, Tibita, Hellen, Mary, Zuula, Agnes, Margaret, Prossy and even me. He has promised to give good. So we try our best to obey, to do what we already know to do - love like Jesus, open up our home and share what He has so graciously given us, preach the Gospel with our lives, breathe Him deep this moment. We do what we can do and then we let Him take over because oh, how His power is made perfect in my weakness! Bottom line is, I don’t really like Nancy. But I can’t help but love her, and out of love I deeply desire to spend eternity with her. And in light of eternity, nothing else matters. So I give Jesus the trauma and the confusion and the rolling eyes and the pinching and the things that Jane says that I didn’t teach her and I smile big and I laugh hard at the gift of one more day. I give Him Nancy’s heart and Jane’s too and I thank Him for 14 pairs of flip flops again and watermelon juice on eager chins and her toothbrush back in the cup on my sink and hurt that draws us closer and a home where strangers become family. I can trust God. I look at my life and I see the miracles and because of what I know, I can trust Him for what I don’t know. Because of what I have seen, I can trust Him when I can’t see. And when I don’t know what else to be, I am thankful. Thankful for you and your prayers that carry us and His love, through you all, that never runs out. We covet your prayers. We SO appreciate them. He must become greater, we must become less. well this is a hard one! It does seem like Nancy does not know Him, but she does know where to go when she has nothing else-- to you. And you know HIm. Right now maybe that's close enough. Right now keep reminding Jane how good she is and how much you love her, so that maybe one day she will make it back to your door on her own with or without Nancy, who knows? Wow, what an amazing post. I am in awe of what God is doing. I am praying that His will be done through you and your sweet family. I would really love to meet and minister to you when I am in Uganda, hopefully this summer. I'm praying. thinking about you all the time and being inspired by your love for your girls and for Him everyday. Thank you for sharing your story, it means so much to me. Praying for wisdom, that you will know what to say and do in each situation. Showing love and grace is so hard sometimes, but it's what we are called to do. You are wise, Katie. May He give you guidance and peace with all the decisions to be made. Your words are so true and they challenge me to live that life for Jesus in my corner of the world. May the love and grace of our good God fill your heart and your home. We love you and pray without ceasing! You are daily in my prayers, dear Katie. Thank you for loving like Jesus. Oh How I'm praying so very hard for you. one more thing. I have prayed for Jane's leg to heal (from your other post). I think if you get her to a hospital for some IV antibiotics she can be done with this infection? it also might improve her mood because some crankiness might be the result of her not feeling too well. (I have a 5 yr old too). oh, my heart breaks with yours. im praying the Lord would work in mighty ways- that He would calm your heart and protect His sweet child. Absolutely beautiful. Thanks for sharing your heart. We are praying for you. This must be so difficult for you, the girls and for Jane. I know you don't know me and I have been reading your blog for quite some times now. Please please know that I am praying for you. I cannot imagine the pain of letting my child go with someone who doesn't take care of them....but God is with her. He never leaves Jane's side. I am praying for her protection and for all of you to have peace in your hearts. I am praying for God to surround you with people to love on you because I know your heart must be broken. Praying for a miracle. Just read this last night and I wanted to share it with you. Praying for you and your family. Always encouraged by your dependency on His sufficiency. You are my teacher. Thank you. God bless you and your family. When I read your post, tears roll down my face and with each tear, a prayer. I know God loves you and sustains you through this trial and every day. Precious Katie. Your transparency and faith in our God is, as always, so fresh, so inspiring. Thanking God for you, RIGHT NOW, praying for God to continue to pour his peace, strength and grace into your mind, spirit and bones. Thank You, Katie, for inspiring us all. It is a privilege just to read the cries of your heart. To see what it's like when someone's will is so turned over to His. Thank you for sharing, sister, and believe we will keep praying! Katie, still praying often for all of you. Wow. This is one I will have to remember. I will also have to remember the story of the widow, because I often say "I'm sorry, I don't have enough". I forget that there is One who does have enough. Your faithfulness is beautiful. Katie, thank you for taking the time to type up those words! Jesus uses you to refine me every time i read your blog. I'm praying for you, your girls, and your ministry to have great Kingdom impact! I have been reading your blog for a very long time, and your faithful heart has never seized to amaze you. You are right, I am sure that God is trying to use you in some special way right now, to teach you something that only He knows... and trust is all we have. What a great picture of love and obedience you are, Katie. Our family will continue to keep all of you in our prayers. Thanks for reminding us that we don't need all of the answers, God knows and He provides and that is enough. God humbled me with your words this morning. I know you don't know me Katie, but I am praying for you this morning. Katie,your wisdom always amazes me! Thanking God for you and for the way that you shine for Jesus! Much love. I have been following your blog for a few months now. I will be praying for you as you travel on this journey God has directed you on. Katie, my family is praying for you and your family as we do often. Just wanted you to know-we love you and are thankful that you are sharing your lives with us from what seems like the other side of the world. Thank you for loving deeply. Katie - sending prayers for encouragement and direction for you and your girls!! Katie, I stand with you. I love you. Keep letting your heart break, girl He will keep refilling. You are wonderful.THANK you. P.S. I am SO coming to see you. In April. Many prayers for you and your girls Katie! 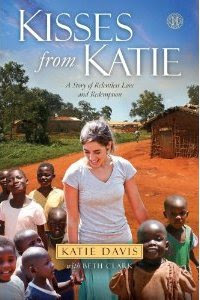 Oh, Katie...praying for strength, patience and that supernatural love that only comes from God. May it wash over you in such abundance that you cannot help but share it freely. I have been reading your blog for quite some time now.. I love how you love Him. I am not sharing this to lift you up, but Him. I can't imagine the pain that is there when she came home, but I can also imagine the great joy. I will lift you and your girls and Nancy up. I believe that God is pursuing Nancy's heart...maybe actively through bringing her into your home. It is really amazing. Again, to Him be the glory, you inspire me to love Him and trust in His promises. I have such small battles and I have found that I easily give up and easily give in, but your faith encourages me. Sister, He is sweet :) and I know you know that! Breathtaking, beautifully written.....praying for you! I'm so thankful for your honesty, your heart-that hurts and cries out for things to be made right. Even in the midst of the hurting you hold onto Jesus and that's so encouraging to me. Praying for you, your girls and Nancy. Praying for hope to hold onto all that He has promised. I don't even know what to say--your posts always hit my heart. I am always praying for you and your girls and now I will pray for Nancy too. What a servant's heart you have. You are soo strong--I don't know anyone so strong. God does such amazing things and works through such amazing people. You are loved all over this world, Katie. When the Treasure-keeper lifts you to weigh his gold and his silver, needs must your joy or your sorrow rise or fall." Praying that God be near you. I hope you are encouraged by this song! Praying for you and the journey that your family takes every day. Walking one step at a time with the One who has said "Every place that the sould of your foot treads upon, I have given you." Praying for you all. God is gracious and will show you His will, He will supply your needs and heal hurts. Be sure and know His peace in your heart and feel His arms embrace as He cares for and looks upon you with amazement at all you are in Him. I am praying for you. Wisdom, grace, an outpouring of love for those who are not lovely, gentleness, provision and rest. God has a way of putting people in our path...but maybe not for us, but for the people who he puts in our path. Breath deep, trust and love...which are the things that you do the very best, my friend. I can't imagine how hard it would be to see little Jane. I will be praying for you and your girl. I have never met you but you and your family are in my prayers every single day. Your faith is beautiful and real and it is so inspiring. You make your Savior proud. Thank you! I treasure this post! The Holy Spirit has spoken through you to me and I'm so Thankful! Let my Heart be Broken by the Things that Break the Heart of God! I am praying so hard for your family. Although I don't know you, I am so grateful for your life and the fact that you take the time to share God's whispers to your heart and your journey with the blog world (because you are an encouragement to me). God speaks to me every time I read your blog, and reminds me that in the midst of pain, sorrow, and suffering we have a DEEP JOY because of HIM. Thank you for allowing God to speak through you and use you. I will continue to pray for you and your family, that God will work and use and teach and comfort and love on you all as you walk through this time in your lives. One day, my family hopes to visit Amazima. Grace and Peace to you. Katie...I am a stranger. But I am also your sister in Christ. I am praying for your sweet heart. and for Jane and Nancy and all your girls. I found myself nodding in agreement when I got to the "However, I do know what to do about it" paragraph. As someone who's been around adoption and foster care as long as I can remember, I know what a hard thing this is, and I truly believe you are doing exactly what God wants you to do. All you can do is what you know to be good and true, and you are doing just that. Praying for you, your girls, and Nancy all the time! I know we don't know each other but I am praying for you my sweet sister. You are an amazing example of who Christ is in joy and in pain. So thankful for you and your sweet family. I will be praying for each of you. His will above all else. I don't know how you do it Katie. Well, I mean, I know how you do it--Jesus. But I mean I know that you still have to discipline the flesh, make the hard choices, becomes less that He might become more. Thanks for continuing to be obedient and do the hard thing. It preaches all the way across the ocean back to my little home in America where the "hard" things I struggle with seem to pale in comparison to the gray area you are living in right now. You are so right...in light of eternity only a few things really matter. Praying for you this morning as I know so many others are. And though we've never met, it does my heart good to feel like I know you and excites me to think about spending forever with people like you...one day sitting at the feet of Jesus hearing all the stories from you of ashes made beautiful, victories even in seeming defeat, and of love like no other. God bless you and all your little girls today. ALL of them. this is a hard eucharisteo, but i am so thankful you have been given perspective, even if it's slippery. how wonderful to have jane back in your lives, and how challenging and dying-to-self it is to have it be God's way and not yours. i'm glad you wrote this so that you can refer back to it on the hard days. you will always be glad, even if you never know the outcome, that you took God at His Word and LOVED, trusting Him for the rest. Do what you know to do at this moment. Because your next moment, you may be face to face with the Father. What a bargain it will have been, if He smiles and says, "Yup. That's what I wanted you to do." i feel like such a creep, stalking your family for years now...but i am praying, and many others here in central illinois are praying as well. thanks for your honesty. i feel like such a creep, stalking your family for years now...but i am praying, and many more here in central illinois are praying as well. thanks for your honesty. My heart breaks for you. My prayers are with you and for you. I rarely comment but always read and always am moved to pray for you and your family. Praying for Jane and Nancy and this situation. Keep abiding in him. It is all a gift, the hard stuff...gifts. Can't imagine your heartache. I'm learning so much through watching you walk through this journey...thank you. His power is made perfect in my weakness! How awesome is He! I look forward to seeing Him work in your life and in mine as well. What an incredible post. Incredible perspective. Incredible reminders...to love others with the Jesus in me. And Jesus IS enough! Sweet prayers to you Katie for strength and continued trust as you face unthinkable situations. Thank you for your constant witness of God's love and mercy. I pray my heart can grow as yours has! Katie, my heart goes out to you. I can only imagine all the emotions you have experienced this past week. Isn't it amazing how God answers our prayers in such mysterious ways sometimes. How lucky for Jane that you are centered in Christ and are willing to be there for her and her wayward birth mother. You will continue to be in my prayers. Christ is enough- His power, His healing, His grace, His love it is enough. I love you and will continue on in prayer my sister. Father God thank You so much for Katie. Thank you for letting me glimpse into her life and be challenged to live my own more for you. As she endures these trials I pray for Your strength, Your wisdom, and Your patience. May she look back one day and see Your big picture. Until then may she rest in You. I love you Jesus! Amen. Oh Katie ever since you posted earlier that you needed prayer, we have prayed and prayed for you. We pray for you everyday, but lately more specifically than ever before. It is NO coincidence that just an hour before reading your post, I read to my children the story of the widow. WOW. Yes, HE IS ENOUGH. HE IS PROVIDER. HE IS SOVEREIGN. And Katie, you are living that out loud. I know you don't want to hear accolades or praise...so I will just say I praise GOD for YOU. In the uncertainty and the mess, He is holding on to you even tighter. I am new to your blog. and I want to thank you for sharing your heart and helping me know how to pray! thank you for your example to keep His command !! What an encouragement to read this today. Oh Father,help us all to be faithful with "little"! His grace is certainly sufficient & you have taught me that with every single entry on this blog. I will stand in the gap & pray with you through this. He is holding you. We know that for certain. Luke 6:38 Give, and it shall be given unto you; good measure, pressed down, and shaken together, and running over, shall men give into your bosom. For with the same measure that ye mete withal it shall be measured to you again. It is a promise to you!!!! God IS faithful!!! prayers for you and your girls, always!!! I will pray for you and your kids! I will pray for the grey to become more clear and for an answer to this problem. My heart breaks with yours and a mother's heart can only suffer to see your child hurt and confused like this. But your never ending and always strong love will show your little girl the way to God and love and trust again and I hope and pray the 14 pairs of flip flops remain. So many tears.....I can't even imagine this journey and wish I could say I wanted to spend eternity with my adversary. Lord Jesus, help us to love like you! Just started reading a few weeks ago and I love your heart. I can only imagine the frustration you feel, praying that God gives you the grace we often lack in our own hearts. Thank you for being an inspiration! Much love from Ohio. Katie - you don't know me but I read your blog. My heart breaks for you and your Jane in this situation. I am praying for you all, even Nancy. I learn so much from your posts about God. Thank you for opening up and sharing your life with us all. I really can't tell you how much of an inspiration you are to me, but wish I had the words to. Your grace amid trials which I can't begin to understand is beautiful. You love like Jesus and it is refreshing, uplifting, and in my humble opinion, the greatest testimony to your girls of Christ. You are teaching them, and us, who He is, not only by words, but by acting like Him in radical ways oft overlooked due to societal norms. I pray you have the strength to deal with this most unique and challenging situation and that you and your girls continue to live in the most amazing "silver lining" that is the love of Christ. I pray the Lord protects your heart and the hearts of your littles, that you may love Jane and Nancy with reckless abandon while remaining protected from repeated heartache. I love you and your girls. Keep seeking Him! Katie, be assured that there are many more praying than the sixty who commented. Here's one more (plus wife and child) who love you and pray regularly for you all. God sees you, sees your commitment and obedience, and so he strengthens! Praise God for his promise - my prayer answered long before it was ever prayed! May He continue to bless you and your beautiful family. Raw and real. At the throne of our King, you are finding mercy and grace to help in your time of need. He has answered your pleading to bring Jane home to you. As you said, she did not come in the way you prayed, but she is there. Your cries were heard. He has intervened and has set the lonely in a family once again! I really needed to read this tonight. Thank you so much for sharing. This rings so true and so deep and with such conviction in my soul that I just can't begin to express in words how it's touched me. I am so glad I stumbled across your blog those few months ago. Not only is the Lord using you in Uganda to show the his love...he's using you in Maine too! God bless you and your little ones (and all the strings attached! hehe). Praying for you in this situation and grace over your household... from a sister in Alaska. Praying for peace, wisdom and understanding for you. I really admire you and what you are doing for all of your children! I don't know you except from what I've seen on your blog, but I would give up all kinds of things to just spend a week with your family. You amaze me. Your faith is so great. I see Jesus in you. Missions have been on my heart for a long time, and I plan on taking a year off after I graduate from high school next year. A lot of people don't understand it, and they are even more confused when they ask why and I try to explain that I want to be like Jesus. I think you are doing an incredible job at living your life as a model of His. I told my mom that I want to be you someday, or at least half as inspiring and incredible. Keep loving. Keep caring. Keep praying. Keep seeking. I'm so happy for you to be living with Jane once again, though the circumstances are less than ideal. All I can say, Katie, is that you are AMAZING. You are my hero on this Earth. I truly believe that you speak to God and that he speaks back to you. I'm honored to have found your blog, your story and I let it inspire me daily in what I do, the way I treat others, and the way I raise my son, as a single mama like you. Thank you. I anxiously await your posts, like someone waiting for a special letter to be delivered. Your words continue to touch me in so many ways. I was reading 1 Corinthians 13 this morning and as I journaled I asked God to help me show love to others, but as I wrote I realized the word used was actually 'have' not show. He's not interested in us just showing love, he wants us to really, truly HAVE love. You have such a wonderful ability to have love for others, even when it rips your heart open leaving it exposed and raw. You still love. And in doing so, you inspire others of us to do the same. I pray for you always. May God continue to bless you and your family and may He shower you with peace through this struggle. katie, my heart hurts for you. i will continue to pray for your family. you are such an encouragement to me. your faith is much wider-reaching than you even know. God bless you. You don't know me but I pray for you every day. I hope one day we'll get to meet, and that I will have a family that I can mix with yours - if not on earth, then definitely in heaven. Thanks be to Jesus who gives us all good, wonderful things. PRAYING my friend. As foster parents....totally get the heart ripping out effect. PRAYING HARD that you are lifted up!!!!! Katie, Prayers always, for you and your family. God has placed Nancy & Jane there for a reason and at the very least while she is there you know she is being taken care of. Your love and faith and obedience to God will leave a lasting impression on all that surround you.Sending love from Indiana!Aunt V.
I know there are so many broken hearts in this situation... but I am praying for sweet Jane and the confusion and hurt she must be going through. God bless you and your precious girls. I don't know you, but you are my sister in Christ. This very situation was laid on my heart for you, and so I've been praying every day when you come to mind. One day we shall see each other face to face, where He will wipe away all tears and confusion. But until then, we see spirit-to-spirit at the place where we fall before him on our knees in prayer. Heartbreaking and humbling. I would not even try to "give advice", instead I send love and prayer. For HE is the only answer and even though words of support are not enough - prayer and Jesus are offered, as if they are "what I can do from here"...when in reality - Jesus and prayer are the most I could ever offer. Wow! I've learned so much from you and your incredibly deep faith. Please know that even when you can't see what His plan is - you have touched me and deepened my faith. I'm praying for you and ALL your girls! Your commitment to the Lord is so inspiring. Stay strong and He will provide, God is always enough. Thank you for sharing part of your life with us. I'll keep your family in my prayers. you dont know me. i just started following your story about 4 months ago. im deeply moved by what God is doing in and around you. thanks for letting us in on it. you are truly living out the gospel. thank you. You don't know me, but I've been praying for you for over a year now & today I storm the gates of heaven for you & your precious family again...so thankful we have a Daddy who Knows & Provides...especially in the gray. "Be still.." Resting in your God is the best place to be, no matter what drives you there. Thank you for continuing to post about your journey. Since I'm removed from your situation it takes your posts to remind me that you are still hurting. "I am the LORD thy God which brought thee out of the land of Egypt: open thy mouth wide, and I will fill it." Katie, I am praying for you. I love and admire you, and your family. I want you to have Jane back. I think she belongs with you. That poor sweet child. God bless her little confused heart. I notice your clock...it says 6:48am. You are just waking up with your family, and I am just settling down for the night. You have a day ahead of you, and i want you to know that have whispered prayers for you and yours tonight. Weeping with you for what I know that tricky balance of birth mom and forever mom is like....that trying so hard to love like Jesus and being pushed away...that fear of the unknown and what will become of things balanced with that trust in our sovereign God. That frustration of two steps forward, one back and the undoing of whats been done. Praying for you. Hurting with you. Dancing in heaven with you someday. All my unity. ...so it is with God. Praying for you and your beautiful girls! As it says at the top of your blog. On earth as it is in Heaven. That is my prayer for you. I have never posted before but your posts touch my heart deeply. I know that our God is faithful and when you ask He will provide the answer for you. In the meantime my heart is heavy for you and those that you love. May you reach a place of peace and I pray that Nancy will come to know and love the Lord and in doing that come to love you. Hi Katie, we are praying that good will come out of this situation with Nancy and Jane. May His blessings flow through. BEAUTIFUL-ALL OF IT! Praising Jesus and asking for continued redemption and an abundant outpouring of grace to exceed your needs!!!!! Thank you so much for the reminder that when we 'think' we don't have enough, God is faithful! Praying for you, your aching heart, and for your family! The immediate answer you have given Jane and Nancy is indeed the unconditional love Jesus gives us moment by moment and day by day. You received them exactly how Jesus received us in our brokenness. Your acceptance of Nancy and Jane is shouting this and they are hearing you, feeling Jesus love deeply and it is painful for them, especially Nancy. A wounded and distraught woman who needs love, acceptance and has never had it! You, Katie are giving her a taste of eternal love and eternal life! Through your pain and Nancy's pain love is being birthed. Love this world does not know nor can ever know apart from a supernatural God breaking through. She came to you because she knows you love her and would welcome her in. She sees a difference in you, Katie. Jesus reaching out to her in her pain! This is the first step for Nancy receiving God's love. She cannot run from it, she may seem to be resisting it. As you know, God is working His love through you! Press on dear sister, press on! Praying with you that His Love breaks through even more today and the next until His love envelopes her whole being! And then she is able to become all she was meant to be in Christ. Dear Katie, I have never written you, but I pray for you often. Thank you for sharing your heart. Thank you for your constant encouragement & example to live life surrendered and obedient to Jesus. I am so grateful & privileged to be serving our gracious King beside you here in Long Island, NY. We also have an open & revolving door and this weekend we will have 7 people from Watoto Choir (Uganda) with us and I wondered just this morning how I will feed them, how I will care, how etc... Only by His grace, only in His strength, only as He provides, only as He enables us to love... 16 yrs ago, God entrusted me with 3 children who I did not birth but as God would have it, they are totally part of my heart. They too had a birth mother that was unable to care, so I know the very difficult dilemna... The lessons they have learned as we have opened our home to others has been huge. I have many more gray hairs, but oh, I have seen God's faithfulness and incredible love time and time again. He loves us so. Praying for you to have wisdom Katie. Wisdom is a hearing heart, understanding follows. I love that God wants us to hear more than we want to listen. Can you imagine? Praying you know more of God's goodness & mercy as He leads and surrounds you today. Praying for you Katie and all your girls. Your words always touch my heart and it is my honor to pray for you and your sweet family. Hugs! Praying - God promises to give beauty for ashes, joy for mourning, praise for a spirit of heavyness. May God bring beauty out of this for you, for Jane. . .
Praying - God promises beauty for ashes, joy for mourning, praise for a spirit of heavyness. May he bring beauty out of this for you, for Jane. . .you are all in my prayers. Thank you for choosing to be obedient and be the example of unconditional love. I needed that reminder with someone who I am struggling with in my life right now. Paying for God's perfect will over you and your family. I will be praying for you as you work through this process! I thank God that He is teaching His church to "love one another as Christ has loved you" through your example of obedience. When it seems it is impossible for the human heart to submit, the Holy Spirit's provision of abundant grace makes His will a reality. May His deep love and abundant grace continue to sustain you! Katie. I am a non believer but you inspire me every time I read your wonderful blog. I cry tears and think of the beautiful people you are among and helping. You are a wonderful person and a credit to mankind. Thank you for sharing your blog with me. I have read your whole blog.................amazing. Your are never far from my thoughts. Your example is both honest and exemplary. Thanks for such vivid pictures of your life there, and how those families that come to you are being loved and touched for the sake of the Lord. I'm so happy to see here SO many comments and expressions of love, prayer and support for you, sister in Christ, and for the loving work you're doing there. May God richly bless you. May He continue to fill your heart with love. May He give you the joy and hope of Heaven in your heart, when this Earth seems too heavy. God bless you! I am once again speechless. I LOVE your heart so much. You are wise beyond your years and good beyond all measure. You don't need help in your attitude or your perspective, you have all you need. Your spirit is eternally filled by the Holy Spirit, that is apparent. Keep faithful as you always do...you are a BEAUTIFUL example to this broken world. Love you. Wow...what an emotional roller coaster, and what deep workings with Jesus in the process. I pray for His peace for you, and for His voice to minister to you with exactly what you need for that moment. Amazing. Absolutely amazing. I am just one more to this beautiful long list of those praying. And I am inspired and humbled as well. I know the Lord will direct each decision you make, and rejoice that sweet Jane is in your arms today. hi katie...praying for you as always and i wait expectantly for your posts. i recommend your blog to many that i know are walking this journey of missions/adoption as well. remember that nancy is watching you, learning from you, thinking about what's going on. no heart is too hard for Jesus to soften and change. when you adopt a child, you adopt their family as well, for better or worse...i'll be praying that nancy will not only change, but that she will be an agent of change in your home- God sends us sandpaper/diamonds. Katie, I feel so blessed when I read your blog. I can see Jesus shining through you and I know you will have a special place in heaven. Thank you for taking care of the orphan. Each time you come to my mind I whisper a prayer for you. Oh, I am praying for you - I knew in my heart from your last post that you must be talking about something to do with Jane - and I pray that God will give you the strength to get through! When Nancy gives her heart to God we are going to yell with such triumph that all the earth will be shaken. Until then, you have what strength my prayer can lend to support this hard and Godly work of yours. Praying for you and your girls, Katie! Praying for you! It is so hard to have children leave after you have cared for them. So very hard! Praying that God will show you what to do and that He will give you His peace! P.S. I got my picture and letter from my sponsored child last week! So excited..her name is Rebecca Kisakye..I already sent her a letter! Thank you for letting me part of this journey! Enjoy having your sweet Jane back in your home. Praying God will soften her heart and let her see His love shining through you and your girls. Praying she sees what it means to be a mother and care well for her precious girl. Praying for peace and patience for you. I am so encouraged by your honesty and love of what God loves. I just wanted to encourage you with a story from my family. My dad was sent to live with a Christian woman from the time he was 18 months to four years old, while his mother was doing God knows what (drinking, hanging out with men at bars etc.) His "foster mother" gave my dad the love and affection that he so badly needed during such formative years. His mother came back for him when she remarried and he lived with her until he was 18 and witnessed all kinds of evil in his home. Making a long story short, my dad accepted Christ when he was in the military and can recall whispering presence of Christ in his life from the time he was living with his "foster mother" Her love made it possible for him to hope for more, to hope for and eventually accept his heavenly Father. To God be the glory! In constant prayer for you and your daughters. Words can't express the love and burden I feel for you and your family. This is something only the Lord could have done. Keep shining as bright as you are. While we have not met here on earth, I have read your words for some time now and have prayed through tears for you much of the time. My prayer in this time is that God will take the brokeness, the pain, the hurt, the struggle, the cries...and He will make of it a beautiful tapestry in His time. I pray that the knowing of that will make the waiting bearable. I pray that in the waiting for the beauty, you will find the beauty that is there waiting for you. A friend just referred me to your blog. I just want you to know you are in my prayers. 2 things I have heard my mother say a million times: If He brings you to it, He will carry you through it! And --- He will never give you more than you can endure. Praying you will be able to see a glimmer of difference that I have confidence that you are making in Nancy. I love your heart for others! Keep constant - it will be what Jane remembers! Blessings to you and yours! I just prayed that you would find joy in that next measure of strength and grace...in the next step. So thankful for His grace to us all through you, for His grace to you through your 14 beautiful blessings. Praying that you are a light in their lives and that she comes to know Him through your love, compassion and grace. This love promise is highest of all! His beautiful work is being accompliced! Praying that God would fill your cup to overflowing to enable you to do what He is asking by the power of the Holy Spirit. May God bless you as you walk this painful path. Only He knows what the future holds and the legacy your actions and love will leave. i'm so amazed at your love and compassion. want you to know, although we've never met, i pray for you pretty much daily and think of you and your girls often. nancy is so blessed that you love her (your)daughter and she knew exactly where to go when she needed help! that is the kingdom of god, you're walking it girl! Katie, We have never met and probably never will until That Day. Words cannot express my heart as I read of what you are doing. I too want to change the world (yes, you and Jesus are changing the world!). My spirit cries out "YES LORD"! As I read your blog, I cannot help but think of some of the writings of Mother Theresa - I'm serious here. You have come to understand at an early age what it means to take care of orphans and widows and bringing hope to the hopeless. I pray that I can do the same. I was driving to work this morning and praying for you and Jane kept popping in the forefront of my prayers. So I checked your blog first thing when I got to work and sure enough, there was Jane. God is with you, He is in all these little details. You are teaching us what it is to truly love, even when we find it almost impossible to even like someone. So neat that because we are sisters in Christ, He led me to pray for you in Missouri, someone I've never met but cheer on everyday in my heart. This song "Blessings" has blessed me tremendously and i wanted to share it with you. My husband and I just got back from a mission trip to Salt Lake City with a group of 15 5th and 6th graders from our church in Nampa, ID. Our 10 year old daughter was one of the students blessed through this experience. On the last night of the trip, one of the hosting pastors was teaching the kids about how God will give them all they need to become whomever they dream of becoming. The pastor then proceeded to ask each of the kids what they wanted to grow up to be. Our daughter was the last to answer and tears welled up in my eyes as she responded, "There is this lady named Katie in Africa who has adopted 14 daughters. I think God wants me to be like her." You are inspiring and touching so many through what God has called to do. My husband and I are definitely inspired to once again embark upon the adoption journey. We pray for you, your ministry, and your 14 daughters (including Jane). Wow, Katie. I just keep thinking of 70x7. It's not easy to forgive and least of all to forget, but you are right. We just obey and Trust Him for every day. Thank you for your example of this. Katie, thank you again for sharing your heart. You are prayed for often. It is a priviledge to have met your beautiful family. God has brought Nancy closer to Jesus by bringing her to your home. Your life is Jesus, and I am thankful that He loves us all enough, even Nancy, to use you to draw us all to His throne, to His feet. I know it must be absoltuley exhausting. He wastes nothing. One kind smile from you and you are passing on more of Him. Thank you, Katie. God bless you. There will be more prayers from the Jones family. It seems God always has something amazing in store for your family. I look forward to this testimony. THANK YOU... for sharing your heart, for sharing God's truth, for continually being faithful and trusting. This was the post I needed to read.. haven't read blogs for a week and then tonight as I am packing up the things of a child I have cared for a loved with all my heart for the past year and a half, waiting for a ruling that she will return to her biological family on Tuesday- I come here and tears stream down my face reading God-inspired words. I am so praying for your heart, for your energy and for your joy... to remain strong, rooted in love and mercy that can ONLY be given from our Father. it is amazing when you feel you do not ahve the strength or the will to take one more step, give one more smile, give one more act of grace and God wonderfully says "but I can". Praying for the decisions you are facing, for the wisdom to know what is best and for the strength to shine Jesus in these incredibly difficult circumstances. God has given you an amazing heart and He is strengthening you moment by moment as you stay connected to Him and His truths. It is so beautiful, beautiful, beautiful to see how God shines in your life and in your love. I feel my heart ache to hear about your daughter, but at the same time I know that He feels every pain, every moment. Our God lost His children as well, to a world and an entity that doesn't love them, doesn't really want them. And He too suffers through seeing us fall and become deeply wounded. I know it sounds weird to say this, but your struggles are beautiful as well because you are seeing, are feeling, a part of the heart of God that many of us do not see or feel. Our God is so relational. He has deep hurts, and He too desires to be understood, to be known by us. He's been taking me through Jeremiah and the prophets lately, where He gives His heart's cry for His love...He tells Hosea to marry a whore because it symbolizes so much of what He feels. You are a friend of God. You see His heart even in the midst of your pain, and this...this depth of relationship with Him is beautiful. You have a constant Friend and Lover who knows exactly how you feel...and you also know to some extent how He feels. And the more we understand Him, the more we see Him, therein lies true Beauty. It is a joy to pray for you, to lift you up, sister! Thank the Good Lord You have Jane in your home again and with your help Nancy will come to know Our God and our Savior. She may be there now because he is calling her and you are the answer. Love her and Jane and watch a seed planted _Grow! This is an amazing post and I will be praying for you , your family, Jane and Nancy. I've just watched some of your videos on You-Tube and I cried. You again have touched my heart and soul. God Bless you Katie. Looking forward to meeting you some day. Big Hugs!!! This is amazing!! Thank you for your realness and honesty and thank you for loving with your life and witnessing to the rest of us of God's faithfulness and love. Thank you for always sharing your heart in such an honest and raw way. God spoke directly to me and answered my prayers through this most recent post so I can't think you enough for writing what he leads you to write. We have opportunity to bring child into our home for summer and maybe longer but we were worried what if we lack $, time, energy, etc but now it is abundantly clear, all we need is faith and obedience and we will be good to go!!!!! Thank you for your words, HIS words to us! I have always loved reading your posts, but lately they are so painful to me and reading them is like ripping a scab off of an unhealed wound. Your life with and without your Jane and her mama parallels my story of working with birthmoms as I foster their children. Right now my Gracie is still here with me, the only mama she has ever known; but it may be soon that she goes to the very young, unstable girl who gave birth to her and is using time extension after extension to barely meet the minimum requirements to get her baby back. This young mother hasn't really wanted my help, she hasn't changed her lifestyle, yet her rights are being protected at the expense of her baby's rights. I am one who is pleased to come alongside mamas as they work their way to stability and reunify with their children whom have lived in my family. In general, I favor children being reunified with their parents. But this situation is different - it is a sad illustration of selfishness and self-centeredness. At the expense of little Gracie. So, keep writing your heart, Katie, and I will keep reading, empathizing with you because my heart knows your agony and your choice to be obedient. Your choice to go back and do it all again because it is an honor to be Christ to this world. I've been reading your blog since the beginning of my freshman year of college. You are such an inspiration to me, my name is Katya [Russian for Katie]. I was adopted from Tula, Russia at the age of 5 with my brother who was 8. You are doing an amazing thing adopting these children, I can't even imagine even though I have been adopted. I'm so blessed to be in this country, and I still take for granted the things that I have despite my past. I love the Lord now, this has been a recent and miraculous change. My brokenness from being adopted has been healed because of God.Your life and story are in my prayers, especially those beautiful children that you have graciously decided to take care of.